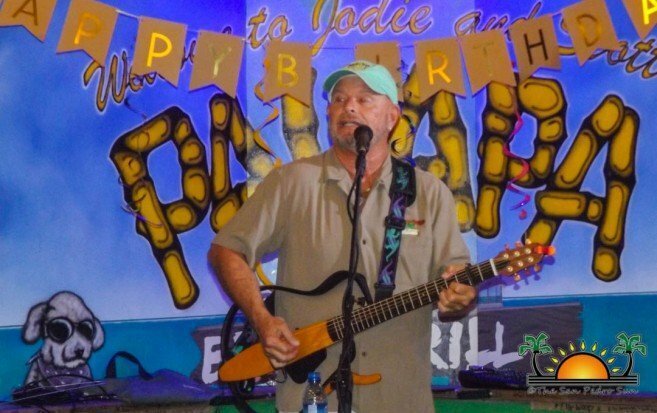 American award-winning country singer/songwriter Kelly McGuire returned to his dream island Ambergris Caye, and once again celebrated his birthday Saga-style at the Palapa Bar and Grill. 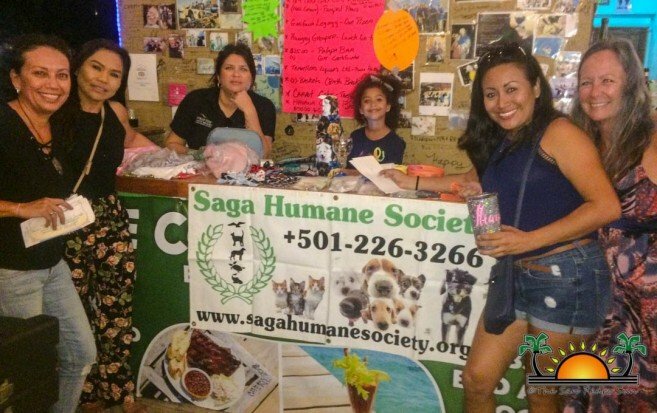 The birthday celebrations were held on Wednesday, February 6th, and included a fundraiser concert benefiting San Pedro’s Saga Humane Society. Country music fans not only enjoyed the best of McGuire’s hits but also participated in live auctions and had the opportunity to win fabulous prizes that were raffled throughout the evening. The highly anticipated event drew a large crowd, who danced and sang along with McGuire songs like ‘Boat in Belize,’ and ‘Blame it on Buffet.’ The popular singer took a chance during intermissions to ask patrons to support Saga by participating in the live auctions and raffles. 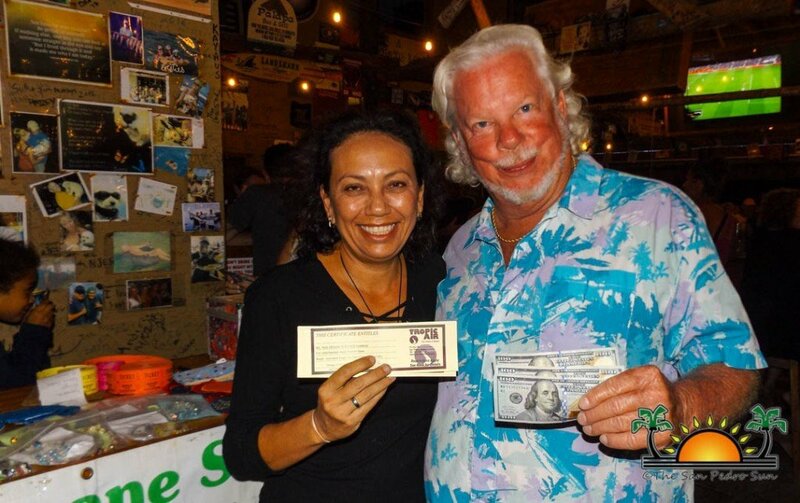 Some of the items auctioned included snorkeling trips, round-trip flights on Tropic Air valid for a year to any destination the airlines flies to, and an autographed shirt from McGuire himself. 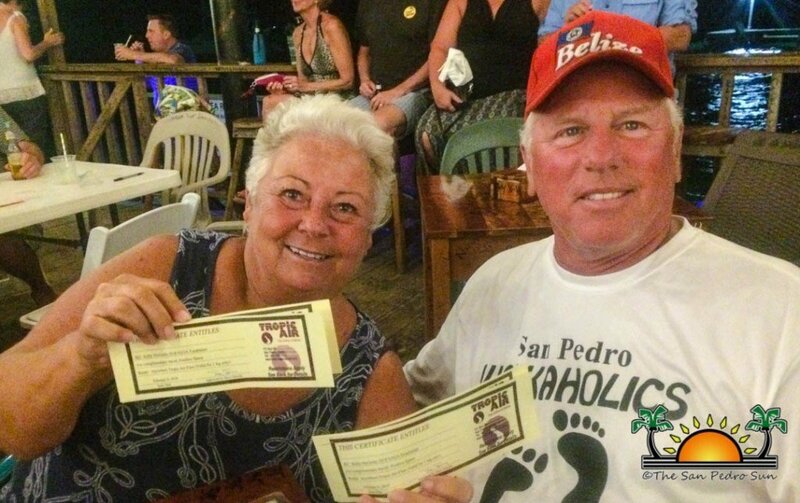 The raffles gave lucky winners the opportunity to walk away with amazing prizes like gift certificates, 24-hour golf cart rental, services at Pampered Paws, rum packages, bath baskets, pastries, and even authentic cigars. Revelers also obtained their Saga t-shirts and souvenirs that were on sale during the event. At the end of the night, live auctions, and raffle sales, combined with individual donations raised a good amount of much-needed funds for the folks at Saga. The final tally will soon be disclosed to the public. Saga thanks everyone who came out and supported them during McGuire’s concert. 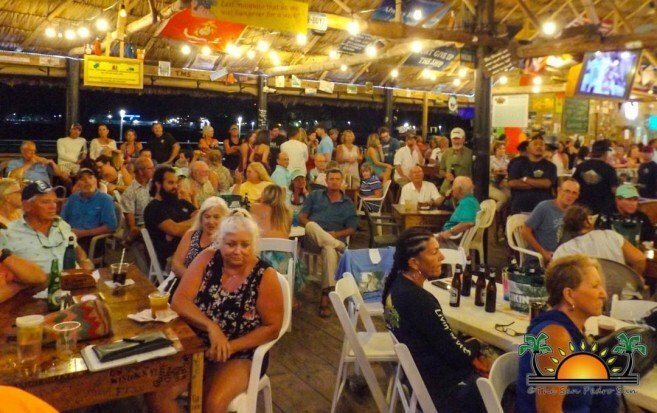 They extend a BIG thank you to their staff, volunteers, Kelly McGuire, hosts Scott and Jodie Harnish of Palapa Bar and Grill, Tropic Air and everyone else who supports then year after year on their mission to look after the animals on the island. The non-governmental organization is located just south of downtown San Pedro, currently sheltering dozens of animals at Fort Dog. All the funds raised at the event will ensure that those animals receive food and medical care. Saga reminds the public that it takes around $1US to feed an animal at their facility every day so every dollar donated count towards the sustainability of the organization.